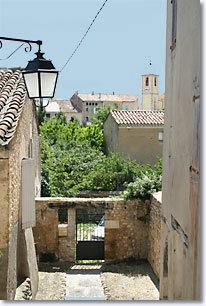 On the road to Moustiers Ste. Marie, 3 km. from Riez, 40 km. from Digne. The name "Roumoules" comes from romolea: meaning little Rome, because Roumoules, as the famous Italian city, is surrounded by 7 hills. This is a pretty village, the houses all grouped together on a sloping plain. 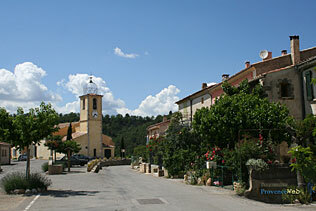 Truffles and honey are local products, and even lavander perfume is still being made here. St. Pierre Church (16th c.). Chateau de compagne. Ruins of Rimat. Artists' workshops: sculpture, earthenware, tapistry, pottery. 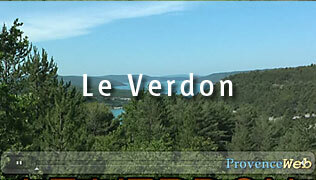 Outings at the Verdon canyons and Lake Ste. Croix. 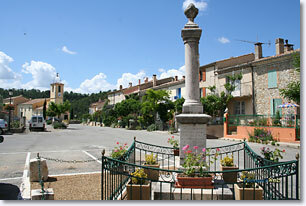 Puimoisson (8km), Sainte Croix de Verdon (8km).